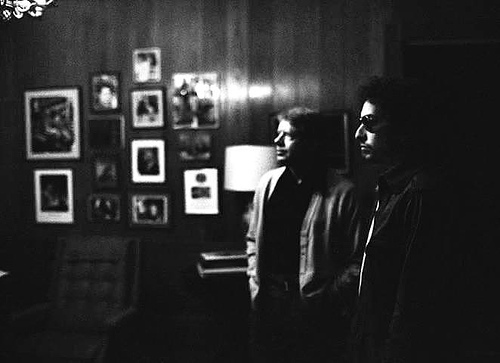 Listening to recordings of Dylan’s 1974 tour you get to hear a lot of different kinds of clapping and cheering. The first song of any show usually brings a huge ovation, because people are so happy to see him. This was, at the time, the most lucrative concert tour ever put on. 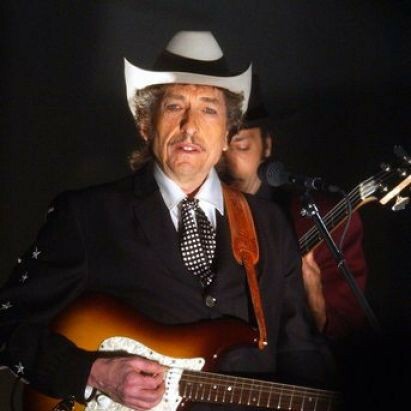 It was completely over-subscribed, and fans were ravenous for Dylan and The Band. The early ovation is a cheap and easy one that simply comes from showing up. Dylan’s acoustic set seems to get bigger applause than the electric stuff, still, and eight years later (all of this, of course, based on semi-dodgy bootlegs so I don’t want to make any definitive claims). Almost every song gets applause at the end of the first line of the lyrics, which is typical of so many concert audiences that clap to say “Yes, we know this one and we approve of you playing it”, and certain songs get huge ovations (“Like a Rolling Stone”) while others gets smaller applause (most of the material from Planet Waves) . So it goes. What is fascinating, though, is the reaction to one single line. With the Nixon presidency crashing down – he will resign before the end of the year – this phrase is the greatest punchline possible for the Dylan audience. Listen to it on Before the Flood – it literally brings the house down. One of the most curious things I’ve read about the ’74 tour this week, is this article in Rolling Stone about Dylan visiting the Governor’s mansion in Georgia after playing in Atlanta (possibly my favourite show from the tour that I’ve listened to, but there’s a lot of them I haven’t heard). 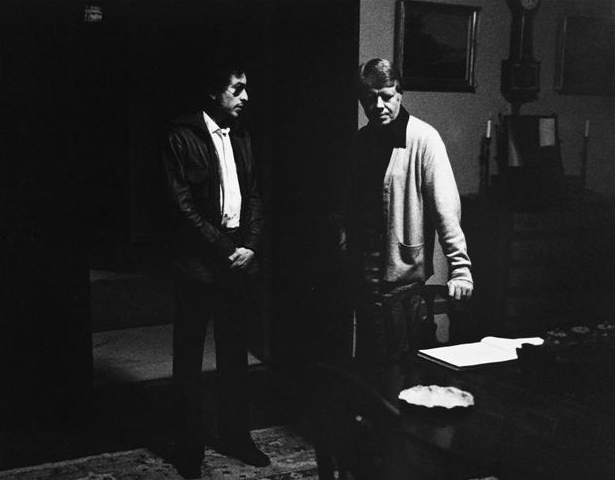 Jimmy Carter had sixteen tickets for this show, and then hosted a party for Dylan afterward. They ate grits (actually, Dylan didn’t). It’s just so bizarre. By far the best part of the article is the bit where Gregg Allman shows up late and Carter greets him at the door in jeans to tell him the party is over. I would so love a video of that.